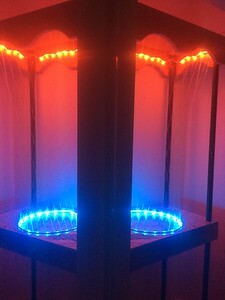 Aeolian Harp/Indoor Light Sculpture | Got Wind? Make Music! 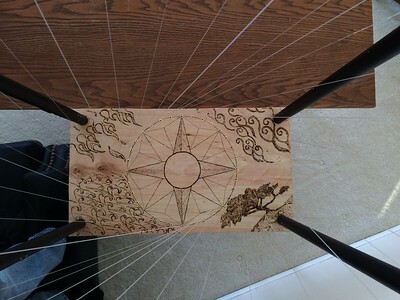 This harp is designed to be an indoor "art" piece when not outside. 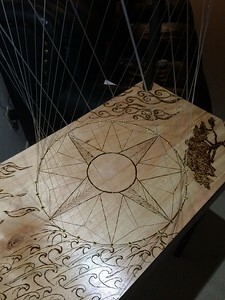 I refashioned it from a used store display stand, The soundboard is pyrographed with a compass design and the "four elements." 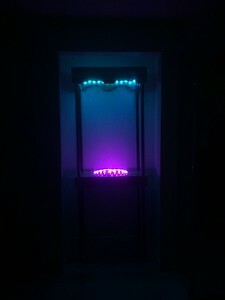 For indoor displaying it is lit with multicolor LEDs. 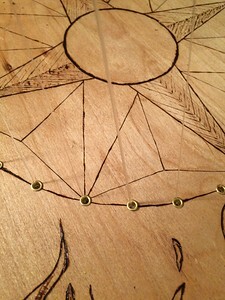 And yes, the 32 strings sing beautifully in the wind. See video below. Clicking on the pictures below that will take you to my SmugMug Gallery. 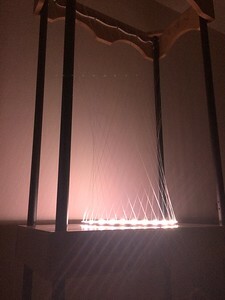 Aeolian harp with 32 strings. Sound clips were recorded separately from video. The main purpose of the video is to hear the layers of harp sounds, so turn up the volume, close your eyes if you want and listen to the wind sing. 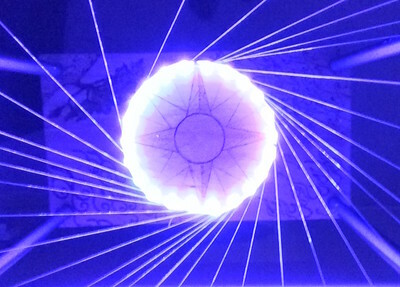 All sound clips recorded at:46.891303, -98.698958.